I’m not sure if I posted a drone image yet on this blog. Did I even tell you I bought a drone? Well, I did. I bought a DJI Mavic Air back in February. It is kind of a “starter drone” for photographers and videographers, even though it packs some solid tech. I won’t go into how easy it is to fly, but it is incredibly easy to fly. The photo/video tech it carries is probably similar to that of a your smartphone — a tint sensor that shoots 4k video and 12mp still images. It shoots stills in Raw and Jpg, shoots brackets and, thanks to the on board camera’s incredibly stable gimbal, shoots vertical, horizontal and 360° panorama. Anyway, I love it. I love the ability photograph my world from a different axis. 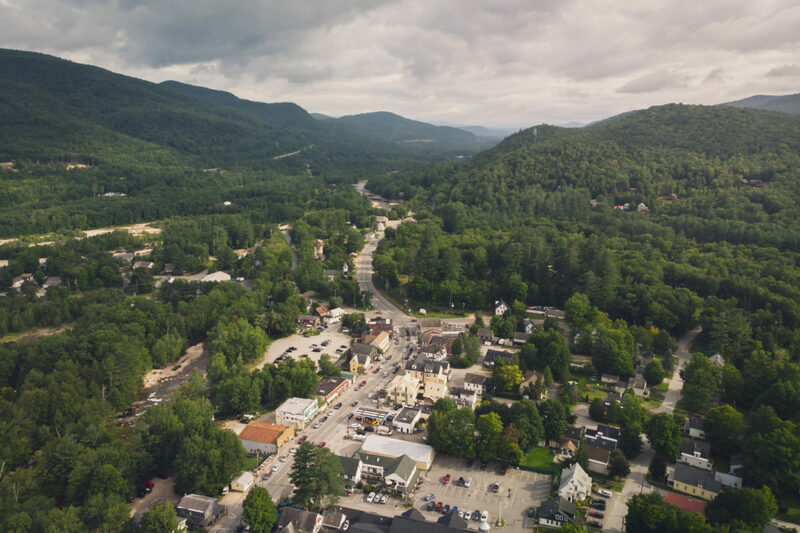 This shot is of Woodstock, NH. I put the drone up from the condo parking lot and flew it about a half mile south to capture the town looking south.